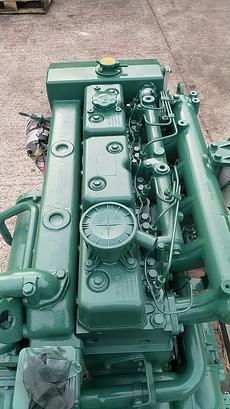 Doosan (Daewoo) L136 160hp Six Cylinder Naturally Aspirated Heat Exchanger Cooled Marine Diesel Engine With Control Panel & Loom. 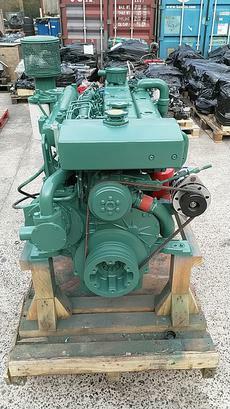 These engines have just come into stock. Circa 5000hrs in good running order from a local operator who has replaced with more powerful L136TI units. Very well looked after and priced at £4,795 each, fully serviced and ready to go. These units were installed new in 2007 and despite being heat exchanger cooled specification, they were hooked up to keel coolers so the heat exchangers are in excellent corrosion free condition. Brand new alternators have been fitted to both engines at our workshops. No gearboxes on these units as they were fitted to hydraulic drives but new gearboxes can be supplied and fitted for £3500 + VAT if required. We do have a third L136 engine in our workshops fitted with a 2.5:1 DI hydraulic gearbox. This engine is presently undergoing a major overhaul. New pistons and liners, new head gaskets, new gearbox oil cooler and reconditioned fuel injection pump (the pump recon alone cost £1500). 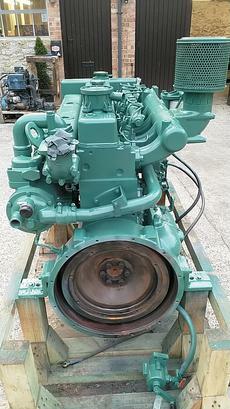 Once completed, this engine will be repainted and ready to install priced at £6,995.